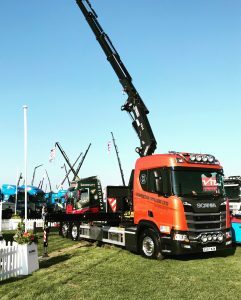 Webster Miller Ltd are based in West Thurrock and supply a fleet of HIAB vehicles to an extensive customer base delivering containers, generators and other large site equipment. Dave Jones, Compliance Manager, explains how Webster Miller Ltd have achieved reductions in fuel use, reduced CO2 emissions, lowered NOx and Particulate Matter emissions and have access to better-trained drivers through FORS. We came across FORS after a discussion with a client who was considering making FORS a part of their contract after getting work for a specific site. We realised it would hugely benefit us to achieve FORS, not just for our clients requirements but to achieve best practice and moving ahead of the game when it comes to our competitors. Webster Miller Ltd passed their last bronze audit first time round with no comments this showed us that we were on the right track to best practice and standing out from the crowd. From here we decided that following on from our FORS Bronze audit we would up the ante in preparation for Silver and Gold and go all the way. Once we achieved Bronze we really made the most of the benefits on offer, in particular the training for our drivers and managers, with drivers completing SUD training and e-learning in preparation for Silver and Gold and mangers with FORS Practionner training. We now have 2 members of management with FORS practionner certificates. A key benefit from being a FORS member and at Gold, is that we have noticed a higher standard of working conditions and safety on sites. Vehicles are of a safer standard, not just for our drivers and site operatives, but also for vulnerable road users when travelling to and from sites. All of this leads to a better standard of work from our drivers and site operatives are more aware that our drivers are trained to a higher level and know that we, Webster Miller Ltd will provide an excellent service as standard with safety at the forefront of our minds. Webster Miller Ltd have always prided themselves on being the best and providing the best service, with this in mind settling at Bronze and Silver was never an option……. It had to be Gold all the way! With a change in business area in the last 12 months we are not currently showing an improvement in figures in all areas. We are looking into systems that will aid us in reducing the amount of incidents and PCN’s such as TomTom fleetmatics and anti-collision technology on new trucks. 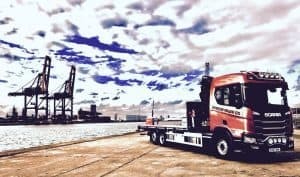 Driver health and fitness review – Webster Miller Ltd provide an annual medical for each and every driver in our employment. Daily briefings with Dave Jones (Compliance Manager) mean we are always aware that our drivers will communicate any issues to us. Strategy for recruiting drivers – within the last month we have taken on and started to train an apprentice. He has already completed one of many training courses on his development plan and seems to be settling in well. Noise assessment – improving and updating our fleet has meant a reduction in engine noise whilst using the cranes. Modal shift and alternative vehicles – Webster Miller Ltd are constantly looking into alternative vehicles and systems that may work, currently without success, but new developments are being released all the time and we are constantly on the lookout. In order to make further improvements we will be continuing to purchase Euro VI vehicles, introducing a 6 monthly driver health self-assessment and issue random drug and alcohol tests. We are also looking into the possibility of the Scania L Cab with higher visibility, as this will help our company to improve our performance data and reduce to risk to vulnerable road users. FORS Gold membership allows us to maintain our higher standard of work, better working conditions for our staff and a higher sense of achievement in always meeting best practice. All this pales into comparison when you consider the impact that FORS membership has on road safety and the safety of Vulnerable Road Users.